Bolor was born and raised in Mongolia. 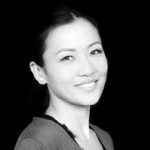 After working for a leading Mongolian conglomerate, she left to pursue a Master’s degree in the UK. Following graduation, she worked for a leading international trading firm in the UK. Bolor put her professional career on hold to raise her 3 children. Recently, however, she is looking to restart a career as a certified coach, and is currently completing a Master’s degree in Counselling from the Monash University in Singapore. Bolor graduated with a BA in International Relations from the National University of Mongolia and has an MSc in Business and Management from the University of Aberdeen. She lives in Singapore with Pierre and their 3 children. Pierre is a French national who has spent most of his life and career abroad. After a 20 year career in banking and commodity trading he decided to take a step back from his executive career in 2015 to spend more time with his family and focus on other interests. One of them is expanding the work of Lorinet Foundation with his wife and children. Beyond Lorinet Foundation, Pierre remains active as a Non-Executive Director for various businesses, agencies, and philanthropic organizations such as COFCO International Ltd, Trafigura Group, Trafigura Foundation, Pioneer Facility Pte Ltd, the National Art Council of Singapore, Ocean Industries, Delair amongst others. 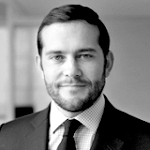 Pierre is a graduate of ESCP Europe, a French business school, and has an MSc in Finance from Lancaster University. He lives in Singapore with Bolor and their 3 children. Jean-Marie is a Swiss citizen benefiting from more than 20 years of experience in the field of finance and wealth management. 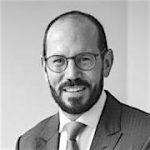 After starting his career with UBS, he moved to commodity trading (Sucafina, Addax & Oryx Group) and continued to work in the wealth management industry for top-tier banks such as Lombard Odier & Cie and Credit Suisse. In 2011, he created Bayard SA in order to provide a service tailored to the needs of entrepreneurs and private individuals with a dynamic approach toward global wealth management. He currently holds the positions of Chairman of the Board of Bayard SA in Geneva and Managing Director of Bayard Ltd and IOK Ltd in Nassau, Bahamas. Jean-Marie Formigé has a degree in Political Science from the University of Geneva. He lives in the Bahamas with his wife and two children. 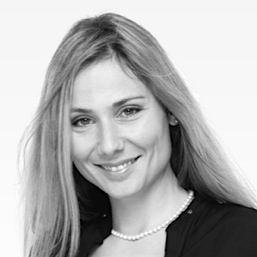 Nathalie Moral is the managing partner and founder of Mavia, a social finance and philanthropy advisory firm based in Zurich. Prior to founding Mavia, Nathalie headed the LGT Venture Philanthropy advisory team and worked in the Latin America investment team. She has a background in management consulting and financial services, having worked for PricewaterhouseCoopers in London and Bain & Company in Zurich. She holds a BA in business administration from the University of St.Gallen (HSG) in Switzerland.